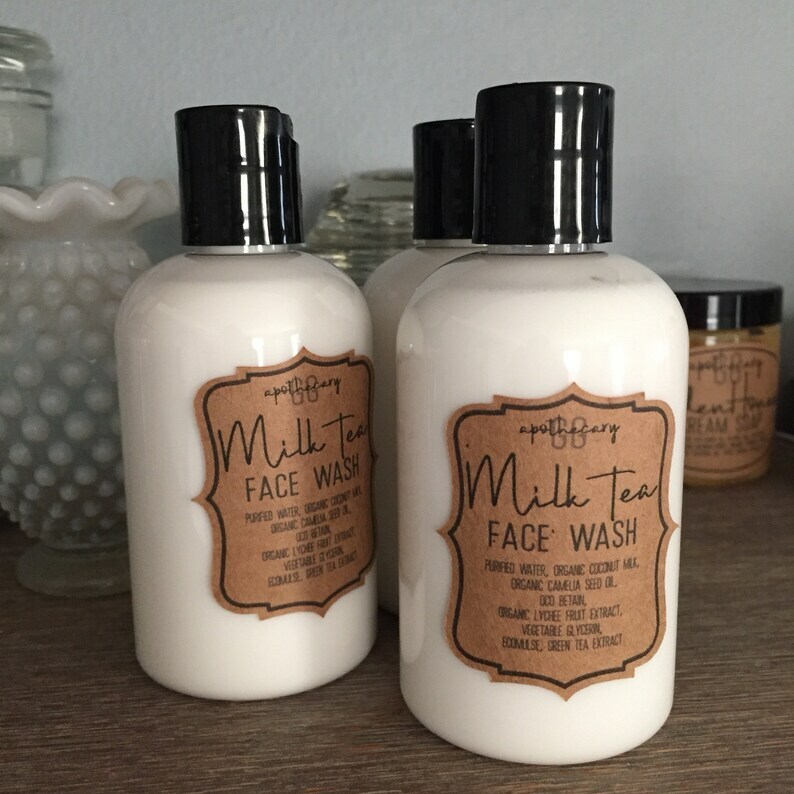 This amazing creamy face wash is formulated with organic full fat coconut milk and organic green tea. It's great for all skin types, it's hydrating and calming as well as cleansing. It's made with a very mild coconut derived surfactant that is SLS free and free from harsh detergents or chemicals. This creamy wash foams up softly and can even be used with a Clairsonic for more deep cleansing. This bubbly wash has a light and bright natural lychee fruit scent. It's slightly sweet and fruity. 🍃🍃 Coconut Milk is rich in vitamins C, E, B1, B3, B5 and B6 as well as iron, selenium, calcium, iron, magnesium and phosphorus. 🍃🍃 Green Tea extract is rich in polyphenols which are anti-oxidant and anti-inflammatory. It's also anti-microbial and anti-fungal thanks to it's high tannin and EGCg content, making it a great ingredient in acne and problem skin formulations. 🍃🍃 Camellia Oil is rich in Vitamin E, essential fatty acids and non-essential fatty acids including oleic acid, an omega-9. It is a highly penetrating oil that reduces and heals scars, is non-comedogenic, blocks harmful UV light, is very hydrating and restores moisture balance to dry skin. Unlike commercial creams, this isn't full of useless ingredients or alcohol. It might take you a while to get used to only needing a fraction of the amount you'd usually use! All of my creams contain a globally approved paraben and formaldehyde-free preservative to keep it safe. I only use organic and non-gmo oils and butters and use locally sources ingredients when I can! All of my products are soy free. I do not use any artificial fragrances in my creams. I use only eco-cert emulsifiers and thickeners and nothing animal derived. ➡ Each bottle is 100g by weight, not volume. Please check the full listing and ingredient list for any know allergies or sensitivities. I do work with several nut oils and although I maintain a sterile and careful work environment some contact might occur. Use within 3-6 months of purchase, for external use only. Although I am a Certified Aromatherapist I am not a medical professional so my products make no medical or curative claims. Wonderful face wash. I love the combination of ingredients Will order again. This is so nice and creamy! Love this shop! Thank you! I accept payment via credit card directly via Etsy. Paypal is accepted and processed via Etsy. Due to the nature of the product I cannot accept returns or exchanges. If a package is lost or damaged it will be replaced depending on the situation. Packages marked 'delivered' by the USPS cannot not be replaced. A claim can be filed directly via your local post office for mail theft and we'll proceed from there! All items are depicted as accurately as possible so please read the listings thoroughly in case of allergy, etc. I try my best to list all the ingredients on the listings and again on the product labels. GGA ships via USPS Priority or First Class. Orders over 16 ounces are shipped Priority automatically as per USPS rules. Your shipment will include a tracking number so you can keep track of it's progress. I ship as soon as I am able on Mondays, Wednesdays, and Fridays. I am the mother of an 12 year old girl and I recently took on caring for my elderly mum, so sometimes our schedule is hectic! International packages may be subject to VAT, customs, etc. You, as the buyer, are 100% responsible for these fees!! During the summer your items may soften in the heat, please just pop them in the fridge for a while to harden them back up. 🍃🍃 All of my products are made with organic and non-gmo oils and butters. I use organic and locally source herbals and other additives whenever possible! I never use a premade base or cheap fillers, everything I create is 100% hand made and custom formulated. Each listing provides as much info about the product and it's ingredients as possible! For your safety I use an eco-cert preservative (Leucidal) in any product that is formulated with water to prevent bacteria, etc. You will often see it listed as radish root ferment or extract. 🍃🍃 I use small batch, locally harvested or wild harvested essential oils, never a mass produced wholesale oil. My infusions are blended and let to steep two moon cycles or more. 🍃🍃 My hand creams will never contain artificial fragrance! They are packed only with the most beneficial ingredients possible. I use only eco-cert emulsifiers and thickeners and nothing animal derived. 🍃🍃 My soaps are lightly scented, nothing overwhelming. Their focus is, again, the amazing ingredients they're made with! They are never made with lard or any other animal fats or oils. Please be aware! The weight on my cold process soaps is approximate. They will continue to cure until they are used. The curing process is the water evaporating from the bar, so over time, they will become lighter and smaller, but not drastically. 🍃🍃 My shave bars are mild and irritant free and designed to give you the best shave imaginable. Once you've used a shave bar, you will not want to go back to canned foams. They are made with local ethically sourced lanolin, right from my local shepherd. The are formulated to give your legs a moisturizing close safe shave. 🍃🍃 I formulate all my skin care/facial products with the most sensitive skin in mind and never include artificial fragrances or comedogenic ingredients. 🍃🍃 All products are made in a sterile studio and I do use latex free gloves whenever I formulate, cut, wrap, and package items. 🍃🍃 I am a certified and licensed aromatherapist with a background in ayurveda. I'm also an apprentice herbalist, working with a master for the last 12 months. 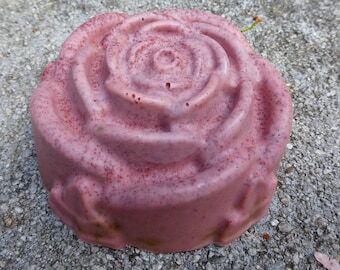 I am also a member of the Handcrafted Soap & Cosmetic Guild. I am fully licensed and insured. 🍯 I use a kosher coconut based vegetable glycerine from a nongmo source. ➡ PLEASE NOTE: Some skin may be sensitive to essential oils, no matter how mild they are! Please do a patch test before you use the product if you have any concerns or a history of sensitive skin. ➡ PLEASE NOTE: From time to time it me be required to substitute bottle shapes to fill new orders. Please note, this is a difference in SHAPE only, the actual volume and amount of product will be the same in the listing. I only order from one reputable supplier and they are sometimes out of stock on my more popular bottle shapes! I am not accepting custom orders at this time. If your order is a gift, please let me know in the comments! I will include a custom gift card with your message. I do not include invoices in orders so as to reduce paper waste. Please let me know if you require one! ❌ I do not sell samples. At this time it is cost prohibitive for me to source mini sized containers as it often costs more than a full sized jar. If requested, it is often possible for me to supply a small sample with a purchase, it depends on what you're requesting and what I'm able to find locally to send it in. Thank you for understanding!